Mark Ruffalo’s directorial feature debut coupled with Christopher Thornton’s wholly original script and lead performance add up to a great piece of cinema. 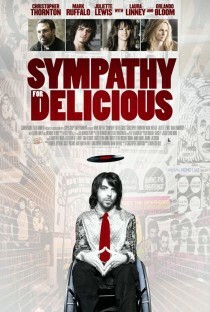 Sympathy for Delicious is a strange and ultimately uplifting tale that will stay with you for a long time. Ruffalo, Juliette Lewis, Orlando Bloom and Laura Linney give good supporting roles but it is Thornton who steals the show with an electrifying performance. We created Wonderful Cinema for this type of movie. Completely panned by the critics and very poor ratings on sites such as IMDb indicate this is not a film for the masses. This is a crying shame because it means most people will avoid one of the best films of 2010.